TMNT Backpack Review and Giveaway! ThinkGeek has some amazing stuff. 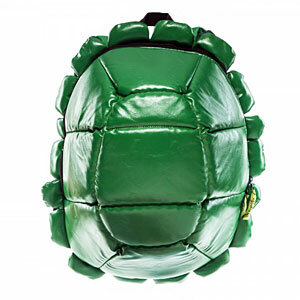 One item I’ve had my eye on for a while now, is the Teenage Mutant Ninja Turtle backpack. It’s 16″ x 18″ of pure half-shell awesomeness. Perfect for everyday use, it also doubles as the perfect halloween (or cosplay) accessory. The main shell compartment is big enough to comfortably fit the average size laptop and still have some room to spare. One of the pockets in the main (and only compartment) also has some zippered organizing pockets designed into it. The TMNT’s signature logo is sewn into the padded mesh back. The backpack also comes with one of each of the turtles masks, so you can go all turtle crazy while sporting it around town. While I might have claimed this backpack for myself, my son is excited to try it out himself. Maybe he will trade me back my ThinkGeek AT-AT messenger bag for this one. Ummm…. Are you a Turtle fan and ready to rock this new school year? Well, here’s your chance. We are giving away an awesome prize pack to one lucky reader. 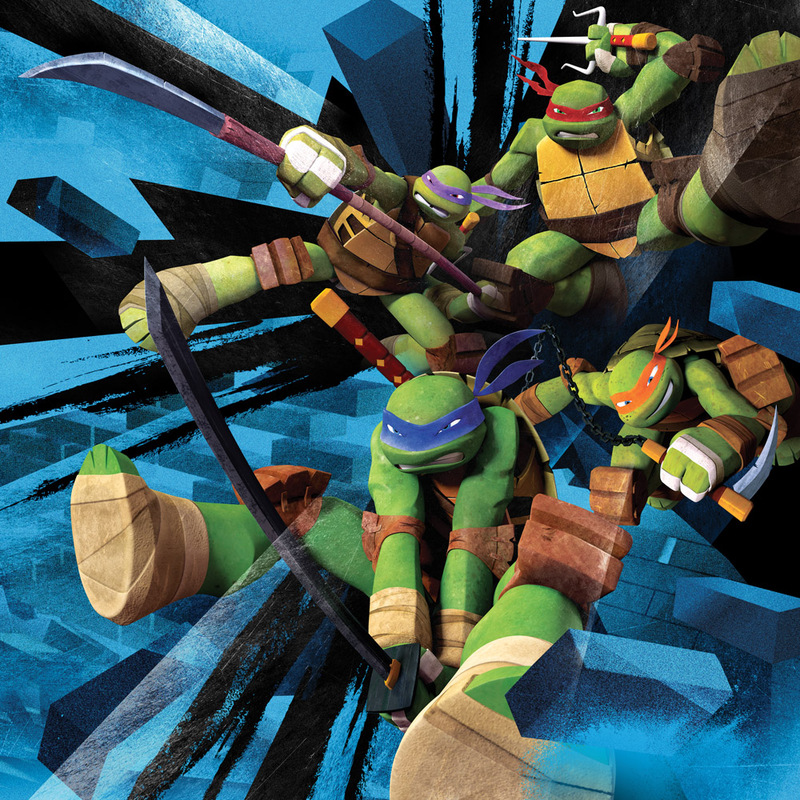 All you have to do is leave us your favorite turtles quote before midnight on Saturday, October 6th. The winner will be randomly selected and announced on Monday, October 8th. Important stuff: Please make sure you use a valid and frequently checked e-mail address when leaving your quote in the comments. Now, you don’t think we would send you an empty backpack do you? 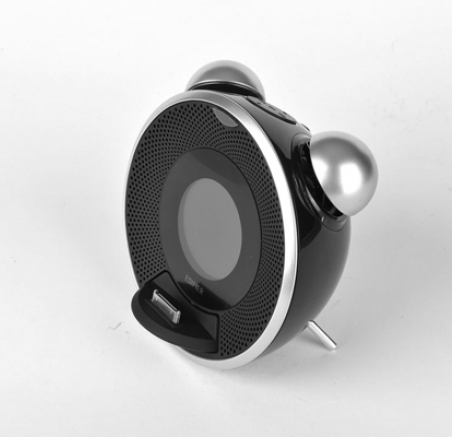 Edifier: Tick Tock Dock Alarm Clock – Every student needs an alarm clock and this retro styled speaker system is a really neat one to have. It features a front firing speaker, two 360º omni-directional speakers, LED screen, Bluetooth connectivity and more. You can also set the alarm to emit a tone or play music from the FM, dock, bluetooth or AUX input. Compatible with the iPod 4th generation and iPhone 4 / 4s. Satechi: 12-Port USB Hub – This is a portable, ultra-slim 12-port USB 2.0 hub for Mac or PC. This little device provides data rates of up to 480Mbps and is equipped with a power supply, guaranteeing the electric current stability and effective operation of connected USB devices. 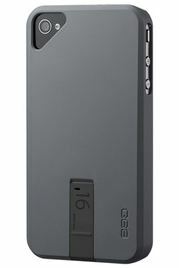 ego: Hybrid Series USB Case for the iPhone 4/4s – With a removable USB drive that stores 4GB, 8GB, or 16GB, this is a must for every student today. I received a review sample of an item in this article.